Textbox onchange event in jquery with asp.net and html control ~ Dot Net Tutorial For Beginner. In this, tutorial we will see about the "onchange event in jquery" with both controls (Asp.net control and HTML control). Most of the time during development we face problems that our "Jquery onchange event not working" behind this problem there is a reason we did not call the control properly. 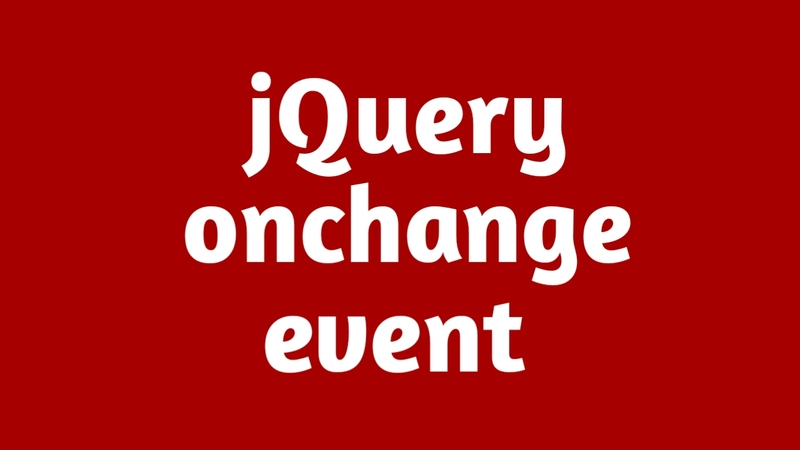 See the full tutorial to implement Jquery Onchange Event. 1. Always use Jquery Cdn file e.i. 2. Don't forget to add a # symbol during control calls. 3. To call asp.net control we have use this ('#<%=ASPtxtbox.ClientID%>') because of runat="server"
4. To call HTML always use this ("#HTMLtxtbox").